The Galluras Museum - located in Luras (Via Nazionale 35/a), a little town in a northern sub-region of Sardinia (Gallura) - hosts a wide a collection of ancient items, coming from the agro-pastoral world of Sardinia. Visiting this Museum is a journey back in time, that allows you to take a look to a world that, due to many factors, doesn't exist anymore. The most important and well-known part of the exposition, is the one related to ancient habits concerning death and agonizing assistance in Sardinia. In this context, a particular role stands out: the one of femmina aggabbadora (aggabbàre in sardinian means "put an end to something"1; a proper traslation for femmina aggabbadora could be the "woman who finishes"). The femmina aggabbadora was a woman, whose task was to put an end to sufferings when people were slowly dying with no possibilities of recovery: it was an euthanasia ante litteram. 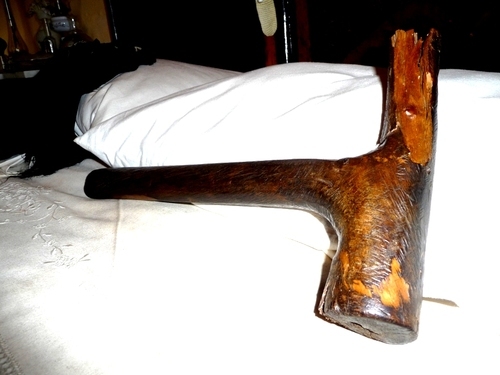 In order to carry out this office, the femmina aggabbadora had a special hammer, made of wood, called mazzolu2. A single, firm hit was given in the temporal bone, causing a painless and instantaneous death. The mazzolu, as well as the skills to perform this "job", were inherited from mother to daughters or nieces, taking care of keeping the identity of this figure the least known possible. 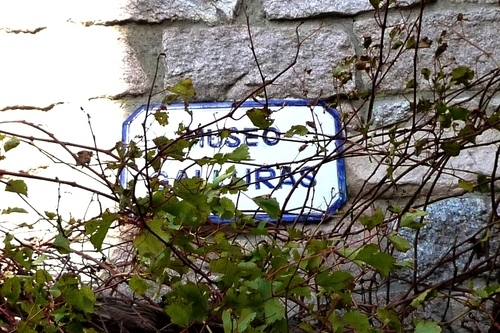 The one conserved nowadays in Galluras Musem is the only mazzolu that still attests the past presence of those women: although there might be other samples, they're all occult by the secrecy - we can legally talk about omerty, remembering that it concerns murders - that sorrounds this mysterious practice. 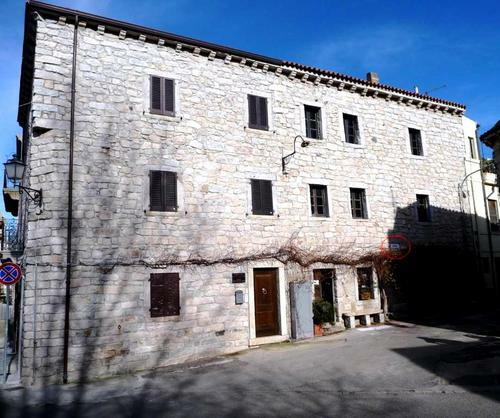 The Eighteenth century building of Luras, home of Galluras Museum. You can see the plaque's museum inside the red circle. 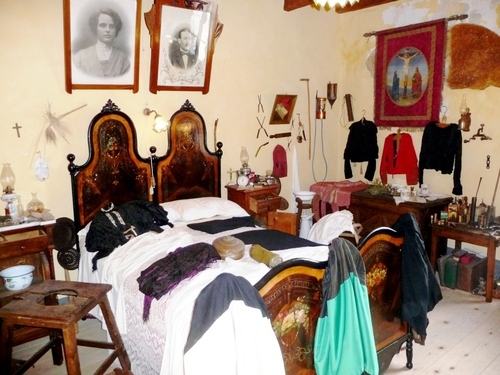 A panoramic sight of the bedroom of Galluras Museum, where it is conserved the last example of mazzolu and where, most probably, a femmina aggabbadora once operated her tragic task. 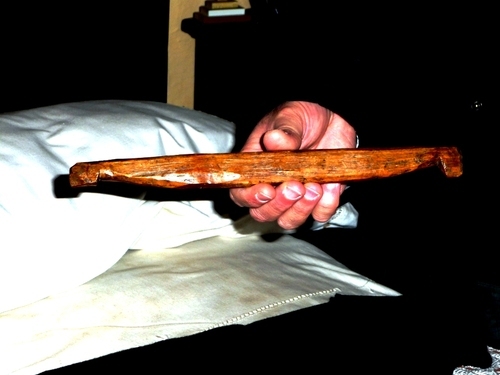 The precious mazzolu, the tool used by the femmina aggabbadora in order to terminate people's agonies. Some shoots of the mazzolu. 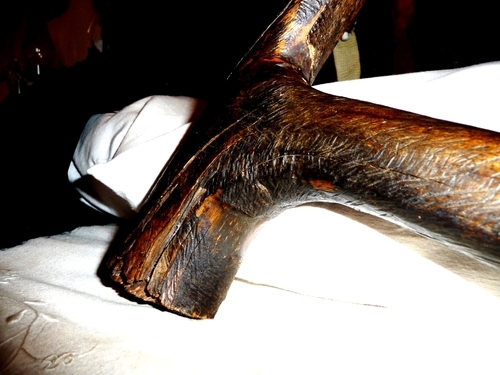 This hammer was 42 cm (16.54 in) long and 24 cm (9.45 in) wide with a weight of 1.8 kg (3.97 lb). 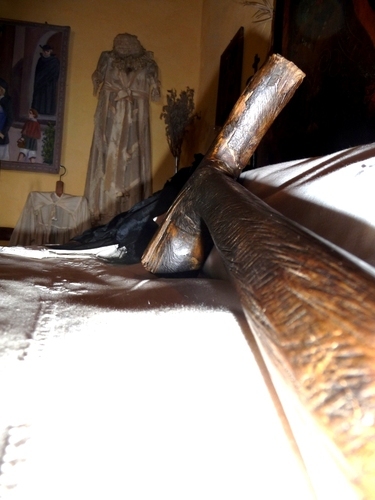 The jualeddu, a miniaturized model of a yoke: burning or stealing a yoke (or similar crimes against agro-pastoral world like removing border's field's stones) was considered a sin - not only in Sardinia but also in Abruzzo and Romagna3. That's why it was believed that the agony could be a punishment for such crimes. In order to expiate those sins and put an end to sufferings, a jualeddu was placed under the pillow. Nevertheless, if the agony still lasted after this practice, the femmina aggabbadora was called for this Sardinian ancient form of euthanasia. 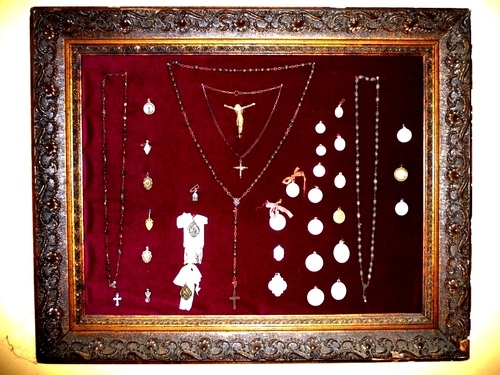 Religious items such as rosaries or relics were thought to be responsible for keeping the moribund's soul in earthly world. That's why they were removed from the agonizing's room - even though this pagan habit, as well as the femmina aggabbadora's figure, was firmly banned by the Church (traces of this condemnations can be found in the archives of local churches)4.